Lynn Mesher, principal Interior Designer of Essence Interiors, specializes in creating residential & commercial interiors that capture the homeowner's (or business owners) individual personality, and are merged with her distinct vision and taste. Her visual design creations stimulate and resonate, and relax one's senses. 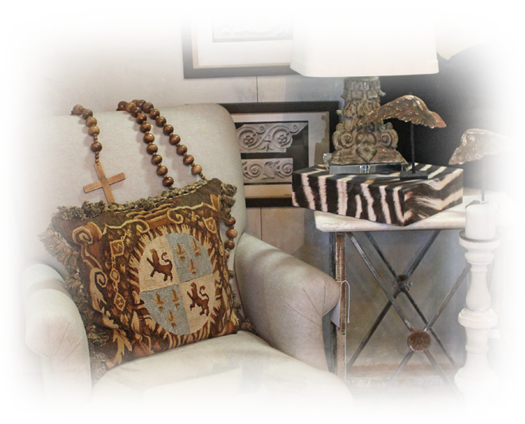 Many of the "E" Annex treasures can be purchased through our online store. 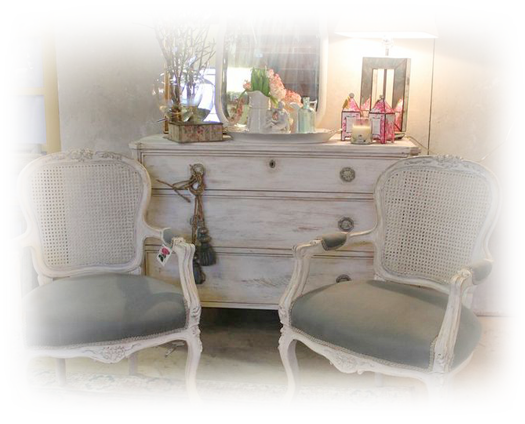 Antiques, vintage pieces, new modern reproductions, chandeliers, candles, furniture and accessories are all for sale. Items are found from travels, flea markets, and from European and modern manufacturers. Seda France, Nouvelle, DPM and Aquiesse candles are also stocked year round, and are a perfect memento to purchase the memory of the store experience. Every clients' needs are unique, as is every project. 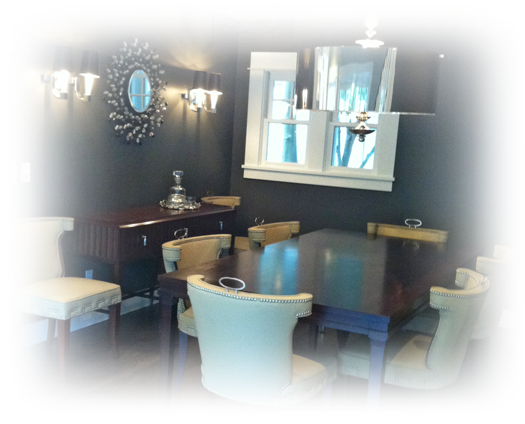 Lynn's design services range from: new construction, remodeling, space planning, color consultation, kitchen and bath design, custom cabinetry, lighting, drapery and custom fabrications, upholstery, and accessorizing. Whether the style is modern, traditional, European or eclectic, projects are a collaboration of the clients' wants, desires and needs. The design process is one that requires strong communication between designer and customer. Lynn strives to engage her clients to explore their tastes based upon her suggestions. Combining function, budget, style and time; the finalized project personifies the soul of the owner.